Misaligned teeth. Pain can sometimes result when the upper and lower jaw are improperly aligned, or when the patient has just been fitted for braces and is still getting used to them. Teeth grinding (bruxism). This problem affects up to 15% of the US population. Some of the more likely causes include nervous tension, excess caffeine consumption, and side effects of certain medications. Incorrect brushing or flossing technique. Brushing too hard, flossing too close to the gum line, and using the wrong type floss string or brush can all cause discomfort or bleeding. Damaged crowns, fillings, sealant, or bridgework. These forms of treatment are used to protect damaged teeth. But none of them are indestructible. When oral appliances begins to fail, the results can be painful. Crowded or impacted teeth. A common example is wisdom teeth, which sometimes fail to emerge from beneath the gum line. When this happens, or when teeth are simply too close together, the results may include marked discomfort. Temperature sensitivity. If you’ve ever experienced this problem, then chances are you’ll never forget it. You take a sip of a hot or cold beverage and the pain goes through your nerves like a needle. Often, cavities are at the root of this problem. Cracked or fractured teeth. This problem can have many causes, from a sports-related injury to simply biting down on a piece of hard candy. Even a minor chip requires prompt attention; otherwise it could lead to tooth decay or even worse. An abscessed tooth. This is an advanced state of decay in which infectious bacteria are attacking the roots of the tooth and the surrounding tissue. An abscess requires the services of an emergency dentist to prevent serious consequences to your health. Gum disease. If your gums become tender or swollen, then an infection may be to blame. This is another issue that requires prompt attention. Otherwise it could lead to tooth loss and other chronic problems. Cavities. Not the most glamorous item on the list, but probably the most common, cavities affect almost everyone sooner or later. Filling the tooth to prevent further damage. Applying a restoration such as a bridge, crown, or implant. Adding dental sealants to the teeth to give them added resistance to infection. Recommending a different brushing or flossing technique or supplies. Extracting the problem tooth. This is usually reserved as a last resort, since even one missing tooth can cause ongoing problems for the patient. Modern dental medicine has made it possible for almost everyone to experience freedom from tooth pain and discomfort. 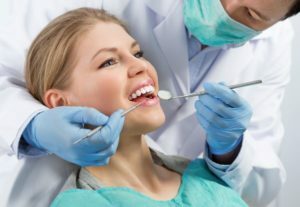 Make an appointment with your local dentist today, if you believe you’re suffering from any of the problems mentioned in this post. The relief you’ll enjoy will put a smile back on your face. Dr. Jayme Martinez and his staff do everything possible to ensure a positive patient experience at their practice. That’s why they offer free Wi-Fi, a sugar-free beverage bar, and comfortable sedation dentistry. You can reach the office online or by calling (214) 303-9969.